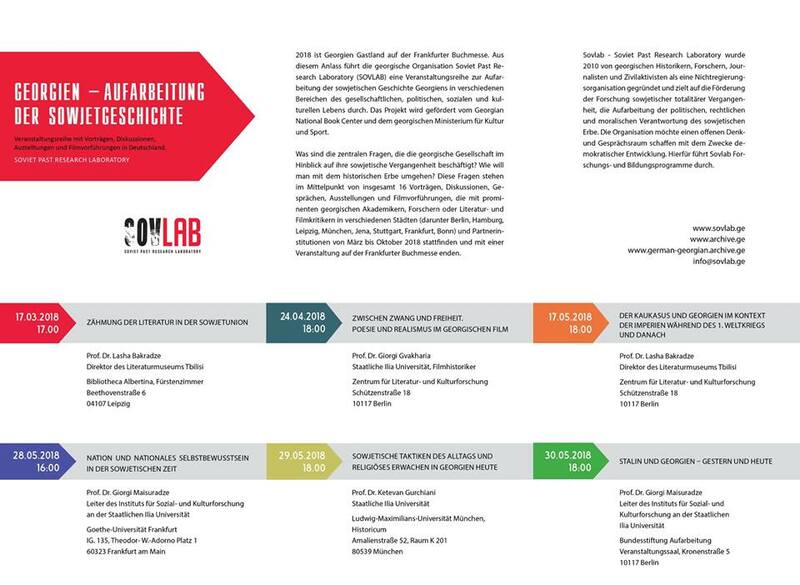 As Georgia is preparing as the Guest of Honor at Frankfurt Book Fair 2018, Sovlab is doing a cycle of lectures in Germany about Georgia’s Soviet Past. 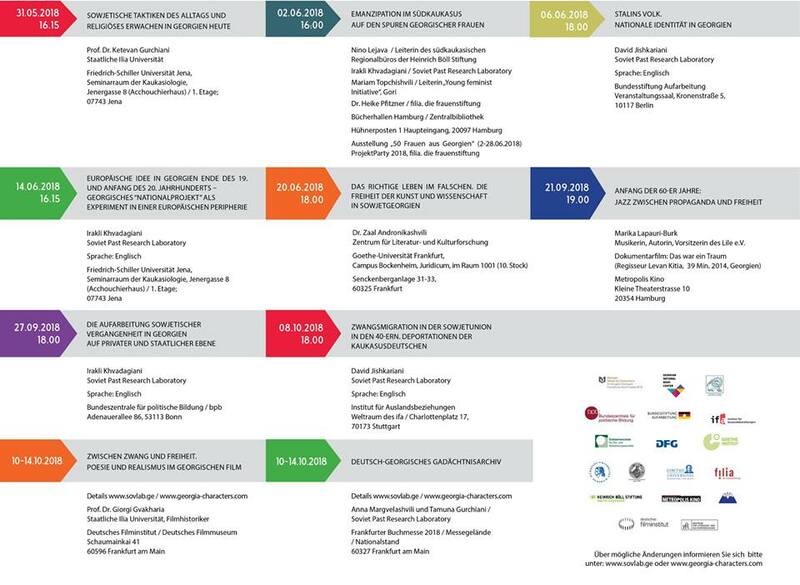 Talks, discussions, film screenings and exhibitions in various German cities are held in cooperation with leading German research and educational organizations and end with a presentation of German-Georgian Archive on October 10 at Frankfurt Book Fair. The project is funded by Georgian National Book Center.